Keynote Speaker for the 2019 CHHA Educational Conference & Trade Show being held in Montreal, Quebec, May 30 to June 2, 2019. 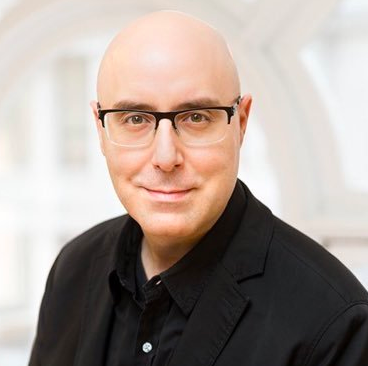 ( For Immediate Release ) Tuesday March 26, 2019, Ottawa- The Canadian Hard of Hearing Association (CHHA) is delighted to announce Mitch Joel as its keynote speaker for the 2019 CHHA Educational Conference & Trade Show being held in Montreal, Quebec, May 30 to June 2, 2019. Mitch Joel has been called “one of North America’s leading visionaries” and the “Rock Star of Digital Marketing” by Strategy Magazine and is the Founder of Six Pixels Group - an advisory, investing and content producing company that is focused on commerce and innovation. Mitch has been named one of the top 100 online marketers in the world and was awarded the highly prestigious Top 40 Under 40. Mitch's first book, Six Pixels of Separation , named after his successful blog and podcast is a business and marketing bestseller. His second book, CTRL ALT Delete , was named one of the best business books of 2013 by Amazon. Mitch is frequently called upon to be a subject matter expert for publications like Fast Company, Strategy, Forbes, The Globe & Mail and many others. He is a columnist and journalist for the Harvard Business Review, Inc. Magazine, The Huffington Post and many other magazines and newspapers. Mitch speaks frequently to diverse groups like Wal-Mart, Starbucks, Microsoft, Procter and Gamble, Twitter, Unilever and every organization and association in between. Since 2005 he has given anywhere between 40-60 keynote presentations a year. We are thrilled to welcome Mitch Joel to our conference this year. Mitch is a very dynamic individual who engages with the audience in a very entertaining yet informative way,” said Christopher Sutton National Executive Director, Canadian Hard of Hearing Association. Stayed tuned to our social media channels and our website for more information on speakers and full program in the weeks to come. The Canadian Hard of Hearing Association (CHHA) was established in 1982 and is Canada’s leading consumer advocacy organization representing the needs of the nearly 4-million people living with hearing loss. With a network across Canada, CHHA works cooperatively with professionals, service providers, government and provides life enhancing information, support and advocacy to ensure people with hearing loss are able to overcome barriers in all aspects of their lives. CHHA has a global reputation in developing and delivering a wide range of initiatives that have challenged the status quo when working with people with hearing loss. As a leader in the sector CHHA is sought after to provide comments and feedback on various policy initiatives, identify best practices, develop and test technology, which in return has advanced the quality of life for people living with hearing loss.